To be world’s most dynamic Engineering goods Supply & Procurement Company. 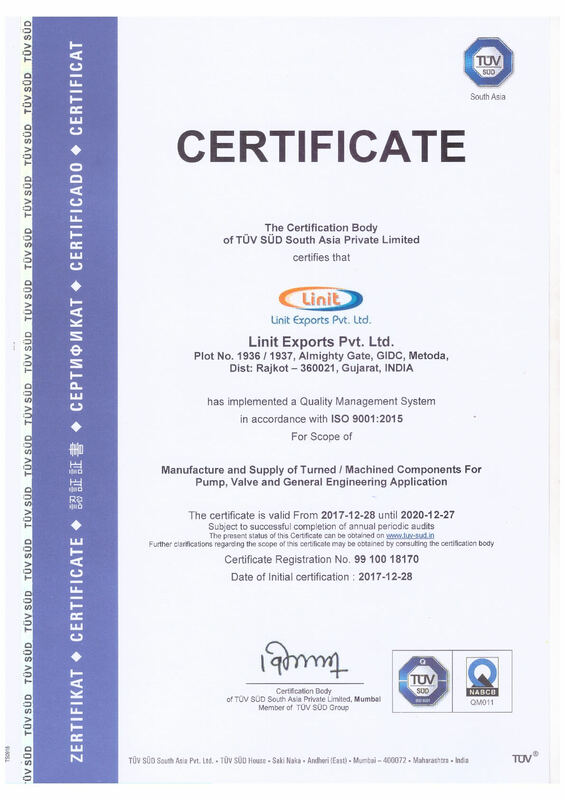 It is the policy of Linit Exports Private Limited to exceed our customer’s expectations in the production of intricate machined/turned components, whilst providing them with competitive pricing within their stipulated delivery time-frame & committed to satisfy applicable requirement’s. Linit has adopted a well documented "EHS Policy & Procedures". This initiative was driven by complying to stringent requirement of our multinational customers and was fulfilled in entirely while conforming to their regular Audits. By doing above Linit complies to all local factory and labor laws. Along with this, Linit has also created its Business Code of Conduct for its Employees and Suppliers which is appropriately reciprocated by them. Lily & Nitin Karjatkar Promoted “LINIT” in October 1998. Nitin (Born 1966) is a Mechanical Engineer and is part of the international trade since the year 1987, having worked with a pump manufacturer and a star trading house promoting engineering exports prior to starting Linit. Lily (Born 1968) is a Science Graduate and MBA having similar Experience since 1989. 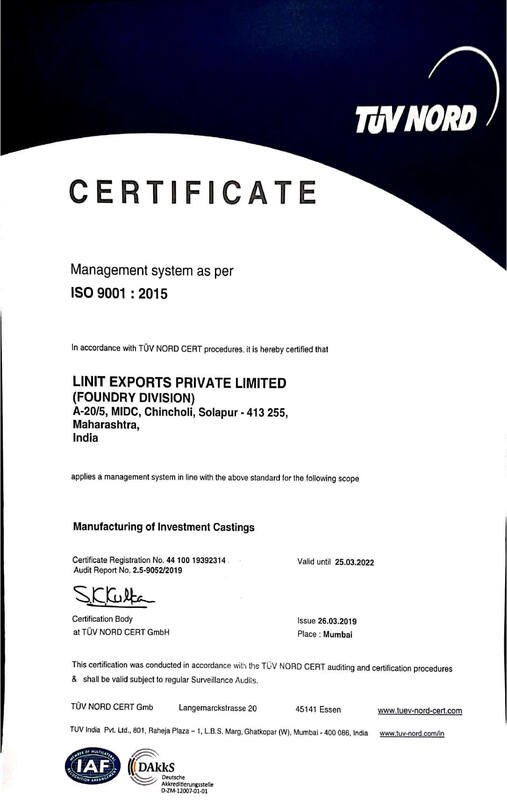 Linit Exports Private Limited derives strength from its team of committed and experienced professionals, and has taken on the challenge of becoming a benchmark in international operations, leveraging its knowledge capital and its presence at point of Manufacture. 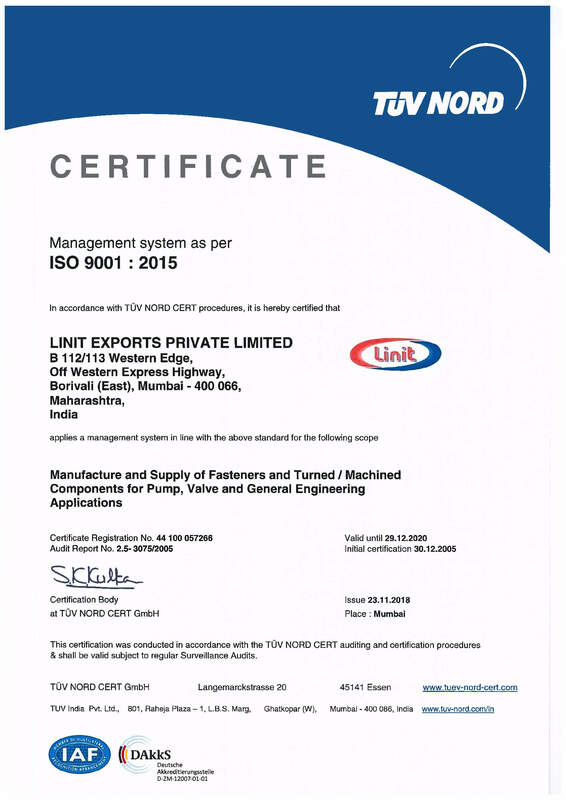 Customer Satisfaction continues to be of utmost importance to Linit as do consistent quality, constant innovation, value engineering and process improvement. The head Office is in the Mumbai suburb - Borivali, 20 Minutes from the International airport. Three factories; one in Vasai (50 Kms North of Mumbai), second at Rajkot and third in Solapur. Head Office: 112/113, Western Edge II, Off. Western Express Highway, Borivali-East, Mumbai - 400066, INDIA. Plant-I: K. T. Sapphire, Building No.7, K. T. Industrial Park No.2, Vil-Waliv, Vasai-East, Dist-Palghar, Pin Code - 401208, INDIA. 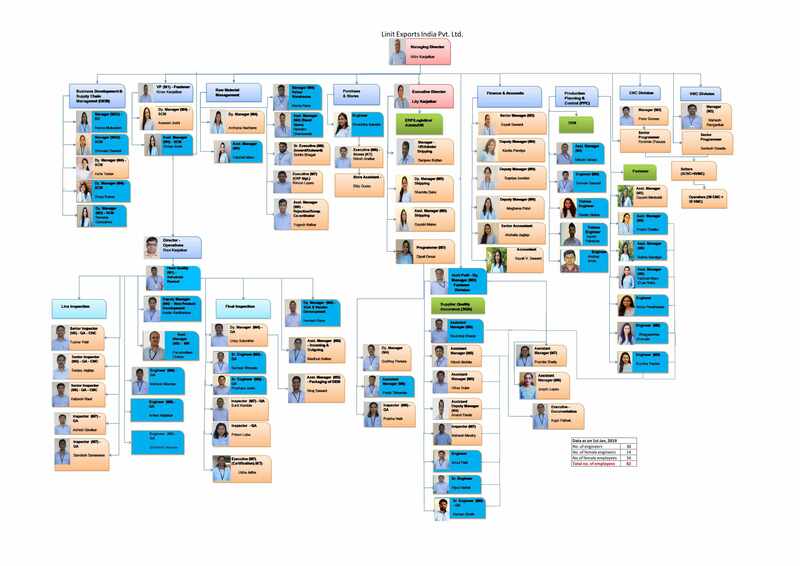 Lean, Flat and Focused Organization with Vast experience in Sourcing & Procurement. Customer Support - Key Account Manager, Engineers or Executive for each Customer. Integrated web based ERP system for functions with job card based lot traceability. Believes in Latest Technology – Brand New Machines and Equipments. Major business (90%) with Western Europe, thus fully aware of European Business culture. 90% Business is in Stainless Steel. Can cater to High Volumes with Quick Deliveries. Raw Material Inventory of over 300 MT of Hex and Round Bars to offer Quick Deliveries. can offer DAP, DDP shipments to Customers in Europe & even VMI possible from Rotterdam. Similar arrangements at Houston, USA to cater to customers in America.